In the case where the Hotel has entered into a special contract with the Guest, insofar as such special contract does not violate laws and regulations and generally accepted practices, notwithstanding the preceding paragraph, the special contract shall take precedence over the provisions of these Terms and Conditions. Subletting and re-letting of the rooms as well as the use for any other purpose than accommodation requires the consent of the hotel in writing. In the case where the Guest requests, during the stay, an extension of the accommodation beyond the date in Subparagraph 2 of the preceding paragraph, it shall be regarded as an application for a new Accommodation Contract at the time such request is made. A Contract for Accommodation shall be deemed to have been concluded when the Hotel has duly accepted the application as stipulated in the preceding Article. However, the contract shall not be deemed to have been concluded if it has been proved that the Hotel has not accepted the application. Contracting parties are the hotel and the client. If a third party orders on account of the client the third party is jointly and severally liable with the client for all contract obligations provided the hotel has an appropriate statement of the third party. In addition, if the client cancels a booking because of any "Force Majeure" events, we cannot be held responsible, nor do we have to pay you any compensation. These events can include, but are not limited to, war, terrorist activities, natural disasters, documented family death, documented disease that would make the Guest unfit for travelling. The hotel is obliged to have the rooms ready for the client and to provide the service as contracted. The prices contracted include the legal value added tax. The hotel reserves the right to adjust prices in case the client requires later amendments regarding the contracted number of rooms, hotel services or length of stay and the hotel agrees to it. The hotel reserves the right to charge an appropriate advance payment or bail upon conclusion of the contract or later with regard to legal terms of all-inclusive traveling. The amount of the advance payment and payment date must be contracted in writing. The client is only entitled to offset or reduce a hotel claim subject to an indisputable or legally valid claim. If the Guest fails to pay by the date as stipulated with in the contract, the Hotel shall treat the Accommodation Contract as invalid. However, the same shall apply only in the case where the Guest is thus informed by the Hotel when the period of Payment of the deposit is specified. When the Hotel receives demands in a violent fashion or is requested to assume an unreasonable burden with regard to the Guest’s accommodations. When a party seeking accommodation is an organized crime group as provided in Article 2 paragraph 2 of the Act on Prevention of Unjust Acts by Organized Crime Group Members (Act No. 77 of 1991) (“an Organized Crime Group”), a member of an Organized Crime Group as provided in Article 2 paragraph 6 of the same Act (“a member of an Organized Crime Group”) or a party or other anti-social element related to such groups. When a party seeking accommodation is a corporation or other entity whose business activities are controlled by an Organized Crime Group or a member of an Organized Crime Group. When a party seeking accommodation is a corporation whose directors include persons corresponding to a member of an Organized Crime Group. When the Guest does not observe prohibited actions such as smoking in bed, tampers with fire-fighting facilities and otherwise breaches Hotel Regulations stipulated by the Hotel (restricted to particulars deemed necessary in order to avoid causing fires). In the case where the Guest has canceled an Accommodation Contract in whole or in part due to a cause for which the Guest is liable, the Guest shall pay cancellation charges as listed in Attached Table No. 2. However, when a special contract has been concluded cancellation charges shall be required only when the Guest has been informed of the obligation to pay such charges in the event of cancellation. In the event that a Guest does not appear by 8 p.m. on the accommodation date (or two hours after the expected time of arrival if the Hotel has been notified) and has not notified the Hotel in advance, the Hotel may regard the Accommodation Contract as having been canceled by the Guest. If a contracted advance payment is not made even after an appropriately extended deadline with a notice of rejection set by the hotel, the hotel has the right to withdraw from the contract. When violent demands and/or actions are made or carried out, or burdens that exceed the scope of reasonable requests have been made, in relation to accommodations. When the Guest does not observe prohibited actions such as smoking in bed, mischief relative to the firefighting equipment and other prohibitions of the Use Regulations stipulated by the Hotel (restricted to particulars deemed necessary in order to avoid the causing of fires). When a guest is an Organized Crime Group, a member of an Organized Crime Group or a party or other anti-social element related to such groups. When a guest is a corporation or other entity whose business activities are controlled by an Organized Crime Group or a member of an Organized Crime Group. When a guest is a corporation whose directors include persons corresponding to a member of an Organized Crime Group. In the case where the Hotel has cancelled the Accommodation Contract in accordance with the preceding paragraph, the Hotel shall not be entitled to charge the Guest in the future for any of the services during the contractual period that were not received. Provided a rightful withdrawal from the contract the client is not entitled to claim damages. The client cannot claim for the use of particular rooms. Rooms booked are available to the client on the contracted arrival date from 2pm. The client cannot claim for earlier availability. The Guest is entitled to occupy the contracted guest room of the Hotel from 2:00 p.m. on the day of arrival to 11:00 a.m. on the day of departure. However, in the case when the Guest is accommodated continuously, the Guest may occupy the guest room all day, except for the days of arrival and departure. More than 6 hours: 100% of the room charges of the client are not justified by this. The client is free to proof the hotel that no or considerable less damage occurred. All Guests of foreign nationality who do not reside within Japan will be asked to leave a photocopy of their passport with the Front Desk.All Guests of foreign nationality who do reside within Japan will be asked to leave a photocopy of their residence card with the Front Desk. The breakdown and method of calculation of the Accommodation and other Charges to be paid by Guests are specified in Attached Table No. 1. Once accommodation facilities have been made available by the Hotel, the Accommodation Charges shall be paid even if the Guest voluntarily chooses not to utilize the facilities. The Hotel shall compensate the Guest for any damage if the Hotel has caused such damage to the Guest in the course of its performance of, or by its non-fulfillment of, the Accommodation Contract and/or related agreements. However, this provision shall not apply in the event that such damage has been caused by a reason(s) not attributable to the Hotel. The Hotel shall compensate the Guest for damages when loss, breakage or other damage is caused to goods, cash or valuables deposited at the Front Desk by the Guest, except in the case when this has occurred due to causes of force majeure. 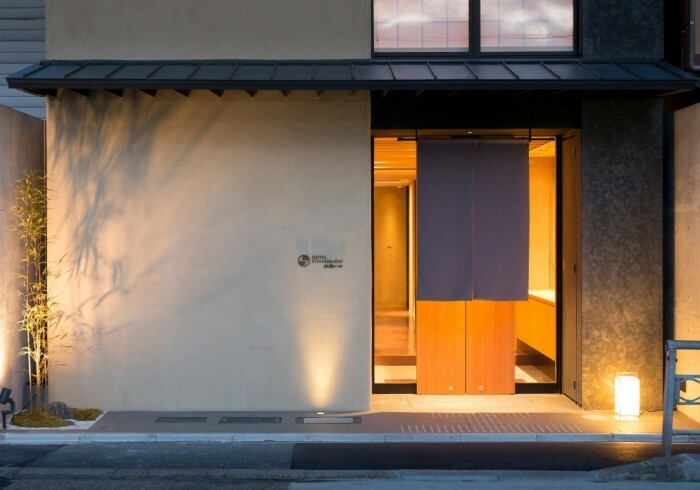 However, for cash and valuables, when the Hotel has requested the Guest for an appraisal of the value and the Guest has failed to do so, the Hotel shall compensate the Guest up to a maximum of 150,000 yen. The Hotel shall compensate the Guest for damages when loss, breakage or other damage is caused, through intent or negligence on the part of the Hotel, to the goods, cash or valuables brought onto the premises of the Hotel by the Guest but are not deposited at the Front Desk. However, for articles of which the nature and value has not been reported in advance by the Guest, the Hotel shall compensate the Guest up to a maximum of 150,000 yen. Messages, correspondence and consignments for guests are handed with due care. The hotel will take care of the delivery, storage and (if requested) forwarding at the client’s costs. The client has no right to claim for compensation except in the case of intent or gross negligence. The Hotel shall, when unable to provide the contracted rooms, arrange accommodation of the same standard elsewhere insofar as practicable with the consent of the Guest. When arrangement of other accommodations cannot be made notwithstanding the provisions of the preceding paragraph, the Hotel shall pay the Guest Compensation equivalent to the cancellation charges. Through such payment, the Hotel shall be deemed to have fulfilled its obligation to compensate for the damages incurred by the Guest. However, if the Hotel’s inability to provide accommodation is not the result of a cause(s) attributable to the Hotel, the Hotel will not pay Compensation to the Guest. When Guest’s baggage is brought into the Hotel before his/her arrival, the Hotel shall be liable to store it only in the case when such a request has been accepted from the Hotel. The baggage shall be handed over to the Guest at the Front Desk at the time of his/her check-in. When Guest’s baggage or belongings are found after check-out and ownership of the article is confirmed, the Hotel shall inform the owner of the article left and ask for further instructions. When no such instructions are given to the Hotel by the owner or when ownership is not confirmed, the Hotel shall handle it according to the Lost Goods Act. The Hotel assumes no liability for the theft, loss, or damage to vehicles, vehicle accessories, or items within the vehicles for parking lots that are not under its management (“affiliated parking lots”). The Hotel assumes no liability for when users of affiliated parking lots incur damages to their vehicles, vehicle accessories, or items within the vehicles, due to the actions of other users of affiliated parking lots or other persons as well as other incidents resulting in damages that occurred within the affiliated parking lots. The Guest shall compensate the Hotel for damage caused through the intention or negligence of the Guest. Alterations or supplements to the contract, the acceptance of the order or the Terms and Conditions for Hotel Accommodation must be in writing. Unilateral alterations or supplements through the client are ineffective. These terms are provided in both Japanese and English. In case of a discrepancy between the Japanese and the English, the Japanese version will take precedence. Litigation arising from the Terms & Conditions for Accommodation Contract will be resolved in the courts in the jurisdiction of the Hotel and in accordance with Japanese law. Should certain provisions of these General Terms and Conditions for Hotel Accommodation become invalid or void, the effectiveness of the remaining provisions is not affected. Besides statutory provisions apply. Please remit payment by wire transfer to the bank account below. Bank Name: RESONA BANK, LTD.
Account Holders Name: KITAYAMA TRADING INC.
Hotel Ethnography Kikoku no Mori owes its name to the nearby Kikoku-tei garden also known as “Shosei-en garden”, a beautiful green oasis belonging to the Higashi Honganji Temple - the head temple of the Otani school of the Shin sect of Buddhism. As this neighborhood history and growth is closely linked to the nearby temple it is rich in items of interest, both secular and sacred, surrounded by old stores which sell manners of accessories for home altars. Enjoy the beautiful and rustic atmosphere of the Shosei-en neighborhood and take a stroll in its tranquil grounds to step out of time to forget about the urban life in Kyoto.